Yesterdays #YPsupport chat hosted by STEPS boston was awesome. Numerous young moms and a few young dads joined in to discuss breastfeeding.We all know the positive and negative feedback that older mothers receive, but it was great for young moms to share their stories. STEPS Boston has provided a venue to openly discuss our young parent experiences without the fear of being judged. In yesterdays chat, we shared stories about our choices to breastfeed or not, how much encouragement we received, and how to encourage young father’s to become more aware and supportive of breastfeeding. There were negative stories of people’s unsensitive reactions to young mother’s pumping at school and people’s comments of how breastfeeding will affect our bodies. But there were also positive stories, of young mothers receiving support from their hospitals, lactation programs, and other supportive individuals.The best part about the chat is that we all felt comfortable to share our positive, negative, and some embarrassing stories on breastfeeding. #YPsupport chats hosted by STEPS Boston has developed a great online community of young parents that are supportive and accepting of each other. The invitation is extended to other young parents looking for a great supportive community and/or that just need a place to talk with others going through similar situations. If you would like to read the entire conversation, please visit the STEPS Storify page for the complete list of questions and answers from young parents. Thank you to all of our wonderful participants! every Tuesday at 8 PM EST! My breastfeeding journey started after delivering my son over 4 years ago. I labored the majority of my 26 hours at home and when I got to the hospital, I was only 5 cm dilated. After making to it 9 cm, I eventually delivered via C-section to a healthy 8.1 lbs. baby. After feeling defeated, I now know that lead to my many challenges. I could not hold my son without the assistance of the hospital’s Lactation Counselor and eventually decided to give him formula because I feared him starving to death 1 day after he was born. One of my best friends would not let me feel defeated because she knew how much of a breastfeeding advocate I was and that I was always there to provide the support for mothers who have had breastfeeding challenges. Since I was having difficulty with latching, she purchased a Medela pump ($400 value) and had it delivered to me the next day. 13 months later, I exclusively pumped. My son never received formula again once I started pumping. I eventually became a WIC Breastfeeding Peer Counselor in Miami-Dade County where I was the only exclusively pumping mother. 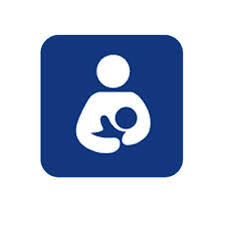 Most mothers did not exclusively pump, let alone for over a year. I than began to work for Healthy Start as a Care Coordinator, and had first-hand accounts of how the lack of support played a major role in a woman’s decision to breastfeed. I became pregnant in 2010 with my daughter and I was adamant to breastfeed. When she was born at home, she had no difficulty latching on. As a matter of fact, she is now 19 months and still breastfeeding. The very same pump I received in 2008 was used when I had to pump while at work. My journey through breastfeeding may not be similar to those that you have read in books and heard about during La Leche League meetings. As a Lactation Counselor and Birth Doula, I realized how much my breastfeeding journey has led me to what I love. I now know that I should have not felt defeated because despite birthing my son the way I did, I look at him as a healthy 4 year old boy who was breastfed. He may not have nursed from my breast, but he was breastfed. He was loved and nourished with the best food for him. For all the breastfeeding mothers out there, just be re-assured that you are supported by a group of breastfeeding warriors that are here to carry the weight of desperation with you and help you overcome it all. Gaetane Joseph is an active mother of 2 who keeps herself busy with activities with her family. Her passion for breastfeeding and birthing lead her to become a Lactation Counselor and Birth Doula. Her journey through motherhood has led to her blog at http://www.seedsofmommysoul.com. When I had my son, I breastfed him for a whole year. I preferred breast feeding over formula because it was more natural and that’s what breast milk was made for in the first place. Some benefits of breastfeeding were it was natural and good for the baby’s immune system since as it contained anti-bodies to help prevent sickness and infections. When I breastfed I also felt more close with my son cause I saw it as a form of bonding in addition to play time, cuddling, bath time and so on. Also it’s a relief for most moms when they breastfed their babies since their breast would be engorged with milk and it was uncomfortable. I come from a family who support breastfeeding and breastfed their children as well. My friends did not say much, they were only surprised at the changes they saw. When I found out I was pregnant I already knew I would have him naturally and breast feed him as well. My primary care doctor, my nurse midwife and nutritionist all encouraged me to breast feed. They all talked about the benefits the baby would get from getting breastfed and how it also helps with quick development of brain cells. My health care providers’ advice and opinions just clarified everything I read about and knew about breast feeding. They also talked about the idea of sagging breasts and some women not liking it because the suction hurt and made them sore; that didn’t bother me one bit after all what a push up bras for (lol). And as for soreness, I figured the baby wouldn’t be a baby forever. I purchased a breast pump when I started working and pumped every morning and when I came home so when I’m not home, Jason would still have breast milk and wouldn’t have to use formula. 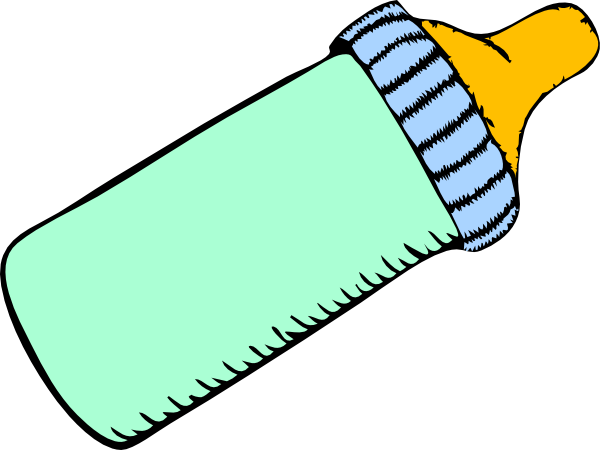 I wasn’t a huge fan of formula since I read it could give babies stomach aches and didn’t seem to have most of the benefits breast milk had. I believe women should be encouraged to breast feed their babies, it’s a beautiful experience and the point of lactating is so your baby can have it and stay healthy. It may be hard for some women but I think once they start their breast would be engorged enough with milk to make things easier. The bond you feel with your baby when breast feeding is also incredible so I definitely support breast feeding. This week is National Breastfeeding Awareness Week and we know that most new mothers will try to breastfeed their babies. This month is a time for everyone to help highlight some of the lesser known facts of breastfeeding. While there are some challenges, the benefits are too great to overlook! As a young mom, I chose to only breastfeed my baby. The beginning was a little challenging but by the second week or so, it began to feel like a natural part of my life. I knew there were some wonderful benefits to breastfeeding my baby and knew that this would be the first of many amazing decisions I would make as a new mom. One thing I can recommend to new moms is to look for a lactation consultant to help you with your breastfeeding issues or concerns. Not all hospital personnel and/or nurses are trained to help with breastfeeding so don’t feel overwhelmed if you don’t find the right support right away. Breast milk contains all the nutrients needed for your baby’s growth and development and is perfectly matched to meet his or her needs. There are many breastfeeding benefits for your baby. Extensive research has demonstrated that breast milk provides optimal health benefits to both the newborn and the mother. quicker weight loss after birth. 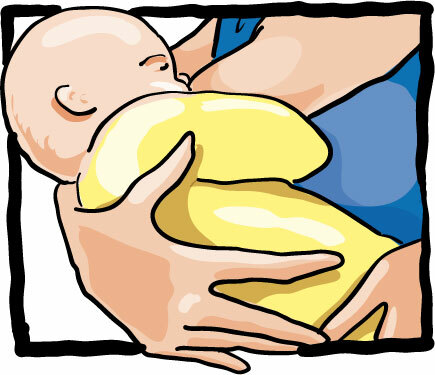 Please click on this link to get more information on breastfeeding! To help more pregnant women and new moms get information about caring for their health and giving their babies the best possible start in life, the National Healthy Mothers, Healthy Babies Coalition (HMHB) launched text4baby, the first free health text messaging service in the U.S.Text4baby supports moms by providing accurate, text-length health information and resources in a format that is personal and timely, using a channel she knows and uses.